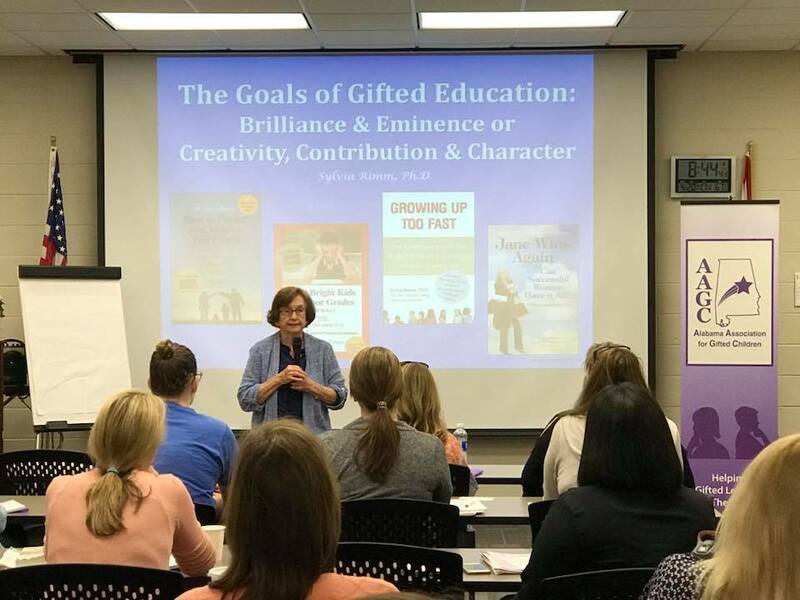 On April 21 Samford’s Orlean Beeson School of Education hosted nearly 100 gifted educators and parents of gifted children for the first Alabama Association for Gifted Children Leadership Academy. The Alabama Association for Gifted Children (AAGC) is the only advocacy organization in Alabama whose mission is to support the needs of gifted children and youth. Samford professor Patti Wood organized the event and currently serves as president of the organization. Wood is also director of Samford’s Master of Science in Education degree in Gifted Education. Guest speaker Sylvia Rimm addressed the group and shared her research on underachieving gifted students. Rimm is a well-respected expert in gifted education and has frequently appeared on NBC’s Today Show as a contributing correspondent and has been featured as a personality on public radio. She has authored many books and articles regarding raising gifted children including Education of the Gifted and Talented, Why Bright Kids Get Poor Grades and What You Can Do About It, Keys to Parenting the Gifted Child, See Jane Win and its follow-up book, Jane Wins Again: Can Successful Women Have It All? All event attendees received a copy of Rimm’s Growing Up Too Fast: The Secret World of America’s Middle Schoolers. Wood says that often gifted children feel bored when school curriculum is unchallenging, and in turn will act out or make poor grades. She hopes that by facilitating communication between experts, educators, and parents that many of the hurdles that gifted students face can be better addressed.